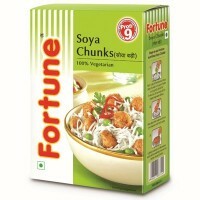 Fortune Soya Granules are a boon for vegetarians.They are made of 100% soya bean and come with the power of Proti9, a combination of nine essential amino acids necessary for healthy growth. 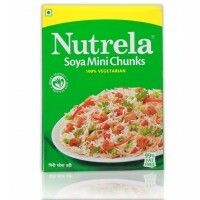 Idal for children and adults, they are easy to digest and a rich source of protein. 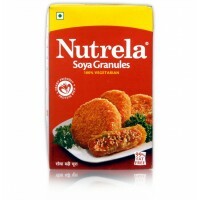 These delicious soya granules have super soaking quality that makes every dish yummilicious. 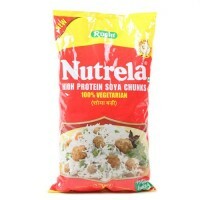 Ruchi Nutrela - soy chunks are an ideal family food-rich in proteins, versatile, and easy to prepare..